UNITED NATIONS, May 11 -- In Colombo, UN spokesman Gordon Weiss has acknowledged that at least 400 civilians were killed over the weekend in northern Sri Lanka. Weiss claimed that Secretary General Ban Ki-moon has been doing everything possible. But when asked, repeatedly, if he was calling for a cease-fire, Ban Ki-moon did not. Ban was invited, how ever cynically, to visit the country, and his spokesperson claimed that if he thought his visit could save civilian lives he would go. But he didn't go, nor announce that he would. And over the weekend, the government shelled the conflict zone and killed 400 civilians. On Friday night in New York, one of Ban's main advisers on the issue told Inner City Press that the UN had been too slow to sound the alarm on genocide. At this point, he said, you have to call it mass atrocity. You need to show motive, means and consequences, he said. Okay, there were four million Tamils and now there are only one million, he said. Language was disrupted. The means used were social, economic and military. But did the Sinhalese government intend to call all Tamils? The Colombo Tamils are happy, he said. And the rubber plantation Tamils, they've had no incident in 20 years, he continued. 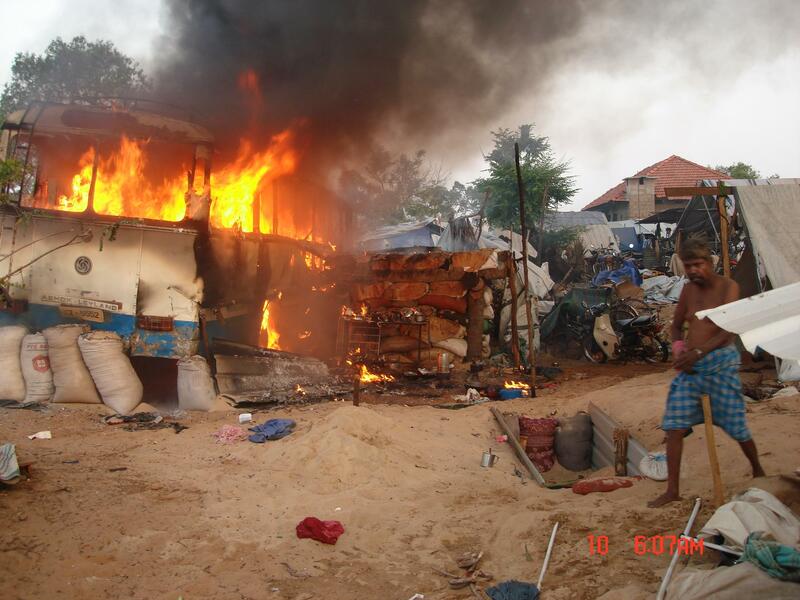 The Jaffna Tamils, they support the LTTE, because the Sinhalese punched all the moderates. So the UN thinks these things, and then just stands by. Two top UN advisers told Inner City Press on May 8 that Ban was leaning toward making a visit. Now 400 more are dead. At some point it is too late. Footnote: also on Friday, Inner City Press learned that the Sri Lankan government pressured the Office for the Coordination of Humanitarian Affairs to remove articles it did not like from the UN's Relief Web internet site. When those in charge in New York bristled at the request for censorship, the government pressured the UN's office in Colombo, and then the piece came down, according to a well-placed source. The UN's track record on this bloodbath is among its lowest points. And it can get lower still.